NTT Inc. - Backflow Prevention Testing: What Goes Into It? In a properly built system such as your office or home, water moves in one direction. Freshwater enters through one set of pipes and leaves via other pipes as wastewater. However, sometimes the wastewater can be reversed back into the distribution system (backflow). If there is a cross-connection within the plumbing system of your property when backflow occurs, then there is a high risk of water contamination. There are two types of backflows including backpressure backflow and back siphonage backflow. Backpressure backflow: This often occurs when the pressure downstream exceeds the positive pressure in the water distribution lines and causes a reversal in the flow of water. Back siphonage: This occurs when there is a negative pressure (partial vacuum) in a water supply system that draws water from a contaminated source back into the water supply. The distribution systems water pressure falls below that of the plumbing system it supplies water with. For instance, a break in the main water drops to 30psi and the irrigation system of a person’s home is 45psi; the municipal water will be sucked back into the irrigation system because of its high psi. To ensure that backflow doesn’t contaminate the supply of potable water, you should employ backflow prevention measures. There is an official law on backflow prevention that began in 1974 during the establishment of The Safe Drinking Water Act (SDWA) by the U.S. Environmental Protection Agency to protect public water systems from pollutants and contaminants that may enter water systems through backflow, back siphonage, and cross-connections. Backflow prevention is accomplished using backflow preventers. These mechanical devices act as barriers between portable and non-portable water at cross-connection points. Ensure that water is clean and safe: It is important to have some form of backflow prevention for emergencies and accidents. Water should remain sanitary so that it is drinkable and usable. Installation of backflow systems ensures that contaminants don’t enter where normal drinking water is being stored. A reduced pressure zone device will help prevent dirty water and chemicals from entering your clean water. Public safety: Backflow devices are important for public safety when it comes to water sources. These devices ensure that people don’t get sick from contaminated water. During installation of backflow prevention devices, your employees will use hand tools. These hand tools can be dangerous when not used correctly. One of the most common causes of accidents is using the wrong tool for the job. As an employer, you should ensure that you provide your employees with the right tools for each task, and provide training on how to use them safely. In situations when hazards cannot be eliminated through safe working procedures or engineering controls, ensure that your employees wear PPE (personal protective equipment) to improve their safety. Some of the protective gear include earplugs, protective gloves, glasses, and overalls. Safety boots with reinforced toecaps protect the feet in case there are sharp items in walkways. Use a fall injury prevention systems, for instance, a safety harness or industrial safety net. 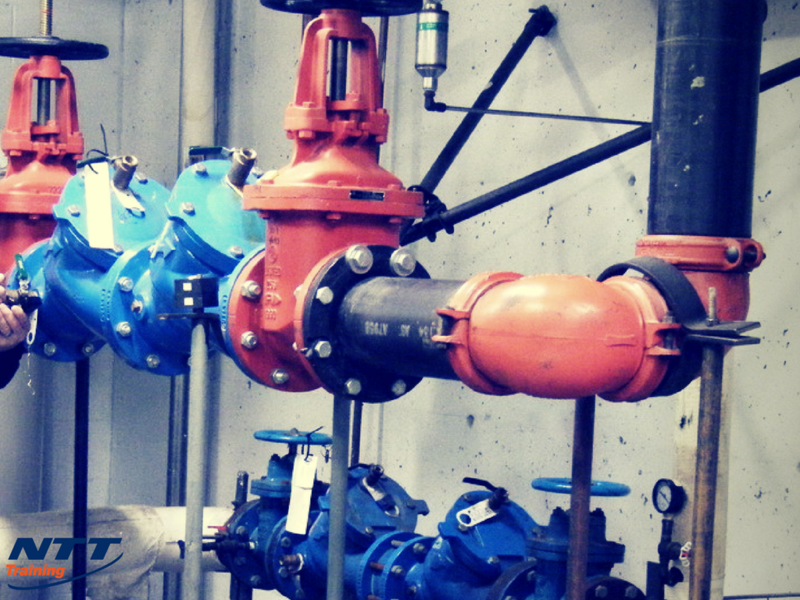 A backflow prevention course will provide practical training that will teach your employees how to test backflow prevention devices, identify and resolve existing problems with the backflow prevention devices. This course also covers backflow theory, selection of backflow prevention devices, assemblies and methods for specific applications. Recognize the importance of safety. Backflow prevention is the first line of defense in maintaining high water quality in plumbing systems. Backflow prevention courses are designed to equip your employees with the most up to date information that is essential in addressing all aspects of backflow prevention. Contact NTT Training today for more information on backflow prevention training.